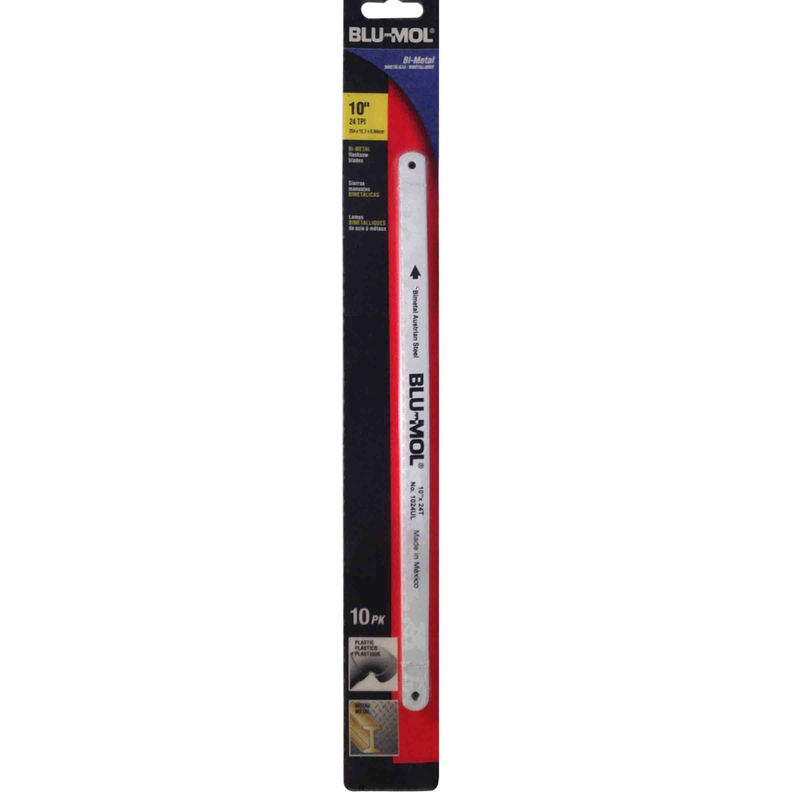 Blu-Mol® Bi-Metal Hack Saw Blades are for heavy duty cutting. Cut medium gauge metals (1/16″ to 1/4″) such as sheet metal, angle iron, bolts, channels, drill rods, threaded rod, pipes and tubing. Blade is shatter resistant. 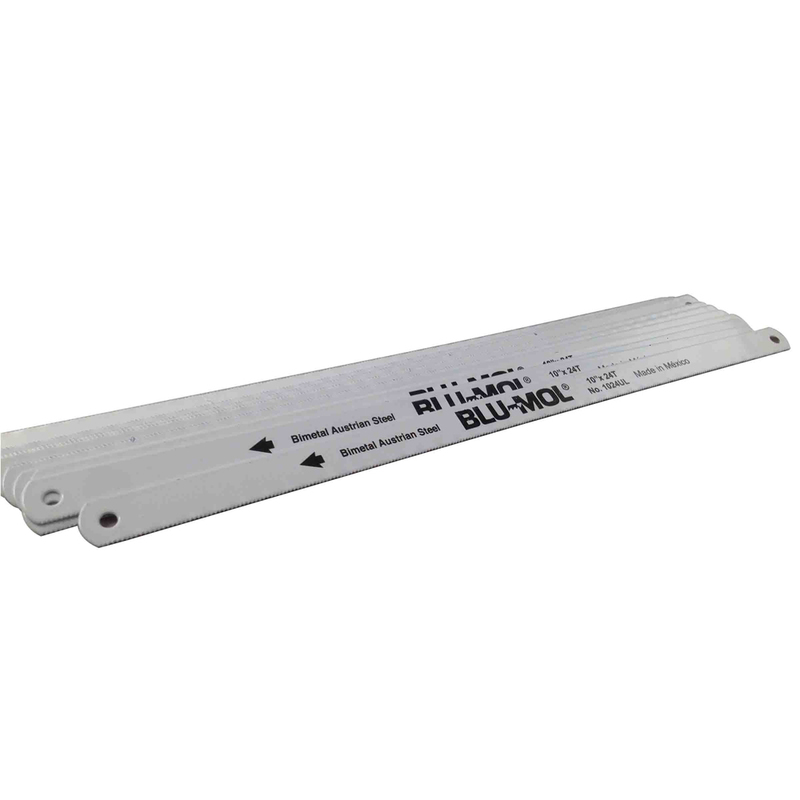 For cutting sheet metal, angle iron, bolts, channels, drill rods, threaded rod, pipes and tubing.